High-limit stakes football betting varies at every online sportsbook. Some are more equipped to deal with very high wagers and big winners. If you truly want to test their limits, you need to know what they are. For the most part, online sportsbooks set daily winning limits for all customers. Some set this as an overall amount that can be won, others set limits based on the sports markets that have been wagered upon. Given how sportsbooks work, and due to the massive variation in the levels of football being played, sportsbooks have generally devised tier systems that allow for higher winning limits to be applied to the elite levels of football, and progressively lower limits for each progressively lower tier of football competition. All limits are listed in the most popular currency for the given sportsbook, either British Pounds or Euros. Should you wish to have an alternative betting account currency, the same essential limit value will be available to you for the currency equivalent. 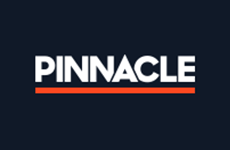 As Pinnacle Sports sets betting limits, not winning limits, Pinnacle can be viewed on its own here. They set their betting limits in dynamic fashion for every game. For the biggest games, you can expect to lay as much as $1,000,000 USD or more on a single game. They are the ultimate high-limit stakes football betting site. Use the following quick links to navigate to your section of choice.